Dear friend, even though the year is new, I’ve learned that if I’m not intentional, all the noise around me crowds my heart. I’m functioning, getting things done, but my soul needs joy and rest in my heart, my emotions and my body. Do you feel the same way too? The more intentional you are with your new year “one word” or prayerful desires and hopes, the more you feel the tug of stress? Five years ago, I experienced my first panic attack – and although it was a very scary time for me (because I’d never struggled with anxiety before in my life until that point) – I can look back now that the thing that broke me, also gave me a new way of living. 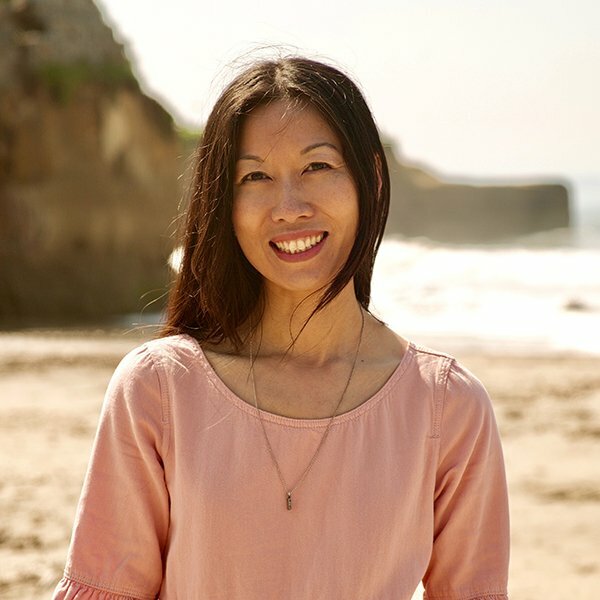 My journey through healing from stress and anxiety led me to create a better quality of life. With God’s gentle, loving whispers, I learned the importance of detoxing from stress and prioritize refreshing my soul. But how? These were not part of my language or experience, even though my faith was strong and I trusted God for everything in my life since I was a little girl. I’m not afraid of hard work, pushing through and just putting my heart to the side, in order to press forward. But, God wanted more for me. He wanted to love me back to health – by whispering the most loving and tender words to my heart, in order to soak in His words to me, instead of the stresses of everyday life. He didn’t want me to just believe the truth of His joy, peace, and love. God wanted to guide me to take action to EXPERIENCE the joy, peace and love I have always believed was mine. During the hard times, I had to find a new way of hearing God, feeling His peace and presence. In the past, I’d always work towards fixing problems, making people happy in my life and my prayers were often about asking God for faith to get me through tough times. But, if anyone has ever struggled with stress or worries, we know it’s not so easy. Much of real life is really a continuous journey through ups and downs. And when I finally faced a mountain so big, I knew I couldn’t just climb over it, guess what? I was forced to rest. But, what I discovered in that valley of rest, was a beautiful light that was so warm, so tender and so sweet, it was the voice of our loving Savior, Jesus. So, I began to research new ways to restore calm to my body, to spark joy and to find my spark again. I started to discover in God’s Word, promises of His love and peace that I somehow missed before. And my heart opened up to being loved in a new way. I began a new journey to be who God intended me to be: His beloved. Just as I am. I also realized that I had lost my spark – you know that joy you feel when you first found out that Jesus loved you and everything feels bright and new? I realized in my place of honesty, when I could no longer be busy performing, people pleasing or even simply getting out of bed on some days – that I missed feeling that joy. I missed falling in love with God again. And so, day by day, I began a new journey to find my spark again. And that is how my book Whispers of Rest was born. I found 40 ways to spark joy and experience God’s love and peace in my everyday life – right where I’m at. Whispers of Rest CHANGED MY LIFE, renewing my first love with God, so I could become the beloved. And I want to share this blessing with you. Because you deserve everything beautiful and bright. You are God’s beloved too! I am so excited about this book, because I wrote it for you, the kindest readers who have supported me. To share 40 practical soul care tips to restore calm and spark joy. 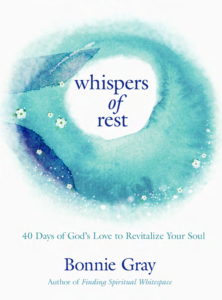 I wrote Whispers of Rest for my children – to pass onto generations, to share 40 most beautiful loving Scriptures and 40 most powerful ways to pray, so that my friends and my children and their children, can always draw close to God, even when they feel tired or uninspired. Why am I telling you all this? 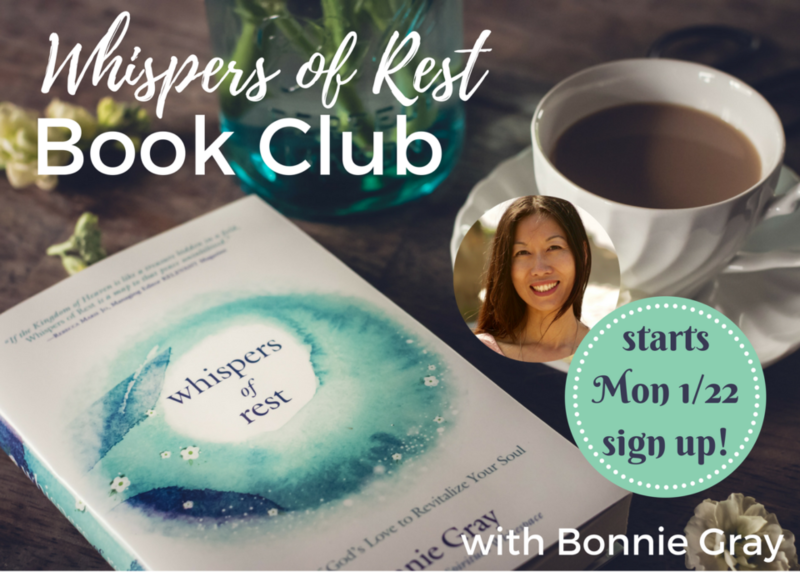 Well,I’m leading a Whispers of Rest Book Club starting THIS Monday Jan 22, that takes place in a private FB Group with mini-retreats designed to detox from stress and rejuvenate your soul. Because I’m a retreat leader & speaker who has inspired thousands of women, I love interacting with you! I’ll show you 40 different ways to spark joy, with interactive FB Live! 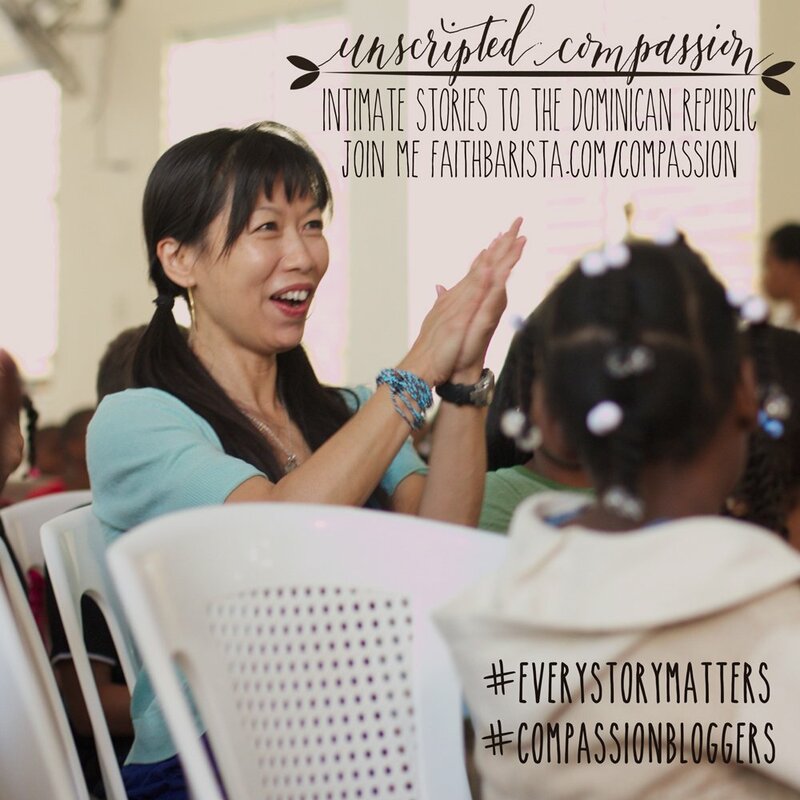 Video Q&A’s, so you can personally take action & shine as God’s beloved! The first book club was such a hit, by popular demand, I’m doing it one last time. Come join in! I have SO many goodies in store to love on you girls, with mini-retreat FB Lives! 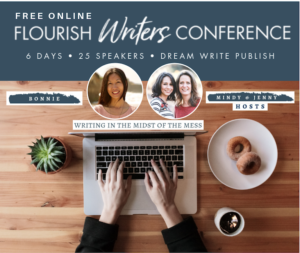 (this is what I do as a professional retreat leader & speaker) – and because this is the last time I’m going to do this book club, it would be awesome to bless as many women we can invite! 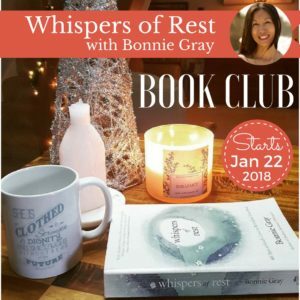 Thank you for sharing about Whispers of Rest with your friends and gifting the book during Christmas and throughout 2017 last year. 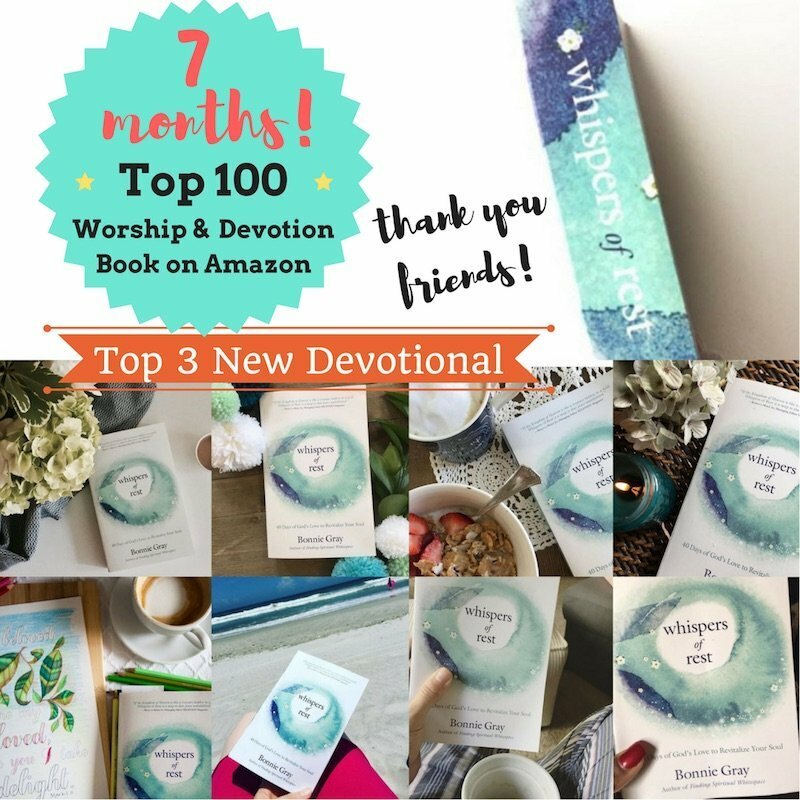 This devotional hit Top 100 (currently as of tonight it is #18 in Worship and Devotional books on Amazon!!) I’m filled with gratitude. And whenever I need some encouragement, I go and read your reviews on Amazon, and I’m filled with awe and wonder at how loving our Savior is. And my heart is full of praise for all He’s doing in your life and mine. 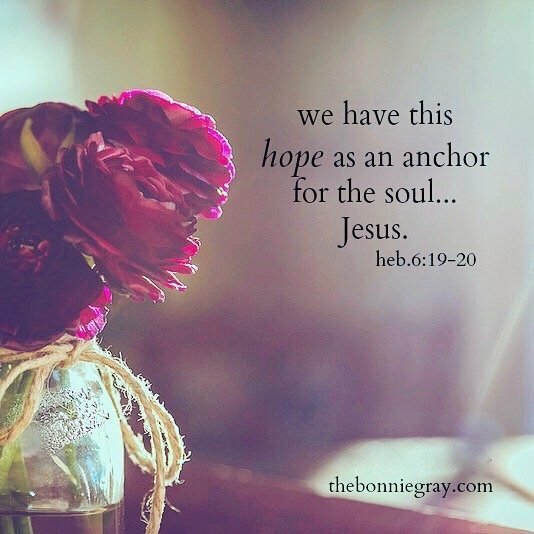 God bless you, Bonnie, as you lead women away from stress and into the Father’s rest. I see a wide-spread ripple effect too as they embrace the truth they are beloved daughters of the King–just as they are. Such truth is empowering and liberating!